Budweiser recently spilled the news that they’re serving up Arnold Schwarzenegger and other A-listers in their always-anticipated Super Bowl ads. The beverage brand actually has five ads in the can for the big game, with three for Bud Light and two for Budweiser. Two of these five TV spots will feature celebrities in a beer-steeped spectacle called “Epic Night.” Budweiser just released a round of six teaser clips for these celebrity-soaked ads, which were featured on Adweek.com. One teaser tempts with a series of splashy scenes promising 412 actors, 58 hidden cameras, five rock stars, and four celebrities. 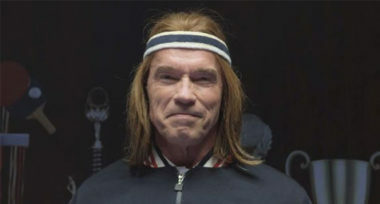 Other trailers brew up excitement for Schwarzenegger’s cameo by showing the actor in the spirit of the games. And others draft actor Don Cheadle and musician Reggie Watts to hop up even more anticipation. With the big game only weeks away, we’ll see if these ads can raise the bar for Budweiser’s winning Super Bowl advertising streak. See what’s brewing in advertising and branding. Contact MDG Advertising today at 561-338-7797 or visit mdgadvertising.com.